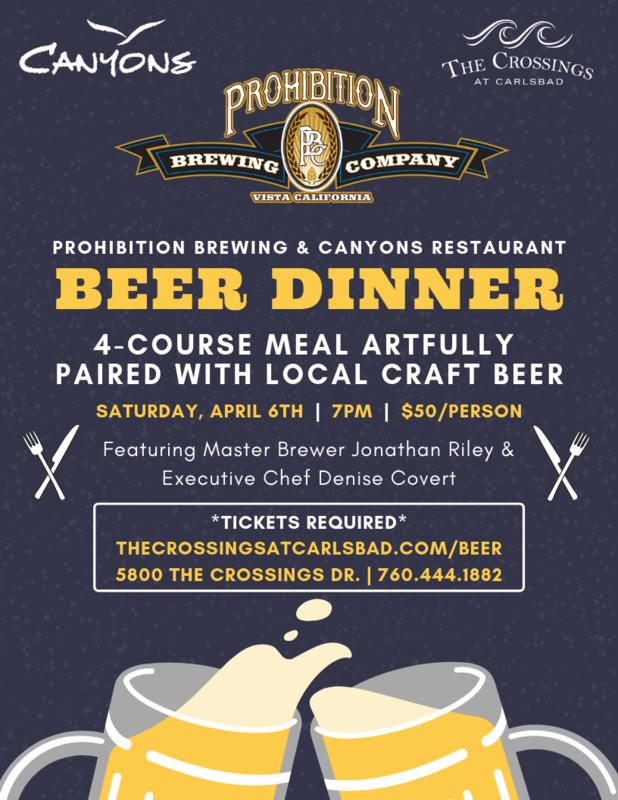 Join The Crossings at Carlsbad for their first ever Beer Dinner with Prohibition Brewing Company featuring a 4-course meal artfully paired with local craft beer! 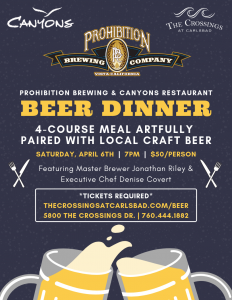 Executive Chef Denise Covert and Master Brewer Jonathan Riley have teamed up to create a truly special evening of fun, delicious food and craft beer. Tickets are $50/person and can be purchased online above. Please call 760-444-1882 for more information.